Joe Raedle/Getty ImagesSen. Elizabeth Warren. 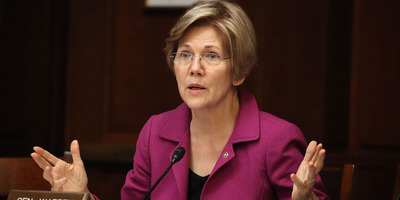 A Cherokee Nation official rebuked Democratic Sen. Elizabeth Warren of Massachusetts after a DNA test report published Monday asserted there is evidence to “strongly support” Warren’s claim to have Native American ancestors. Kim TallBear, an associate professor for Native American studies at the University of Alberta, also criticised Warren for claiming Native American heritage and accused her of failing to back up those claims by meeting with other Cherokee Nation members. A Cherokee Nation official rebuked Democratic Sen. Elizabeth Warren of Massachusetts after a DNA test report published Monday asserted there is evidence to “strong support” Warren’s claim to have Native American ancestors. Kim TallBear, an associate professor for Native American studies at the University of Alberta, also criticised Warren for claiming Native American heritage and accused her of failing to back up her claim by meeting with other Cherokee Nation members. “For Elizabeth Warren to center a Native American ancestry test as the next move in her fight with Republicans is to make yet another strike – even if unintended- against tribal sovereignty,” TallBear said in a statement. “She continues to defend her ancestry claims as important despite her historical record of refusing to meet with Cherokee Nation community members who challenge her claims,” she added. Warren, a potential candidate for the 2020 US presidential election, long contended that she had Native American ancestry. President Donald Trump has since harangued Warren on the issue since before he took office. After news of the report got out on Monday, Trump backtracked and said he would pay only if he could administer the test himself. Fact-checkers were previously unable to determine whether Warren was of Native American heritage, but, according to their findings, the lack of proof did not “preclude Warren from having traces of Native American heritage,” The Washington Post reported in 2012.